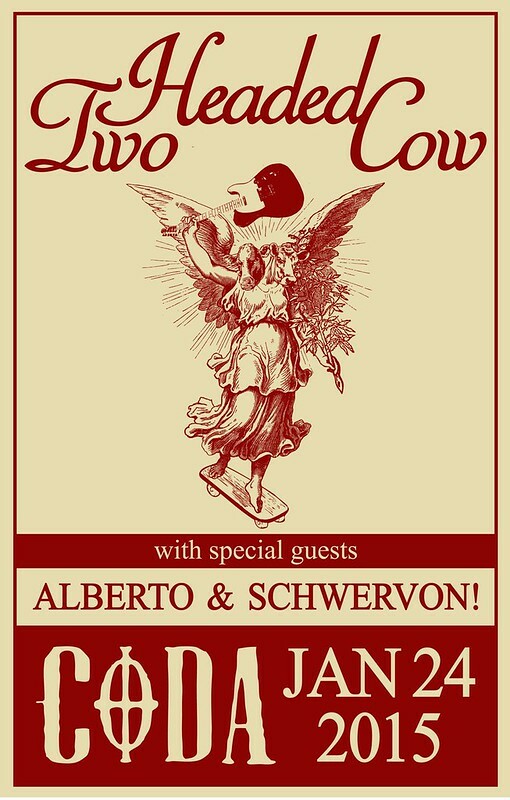 Next Show Saturday, January 24th @ Coda (KC, MO) | Schwervon! This entry was posted in Uncategorized and tagged Alberto, Coda KC, Schwervon!, Sissy Spaceship, Two Headed Cow. Bookmark the permalink.